Sun Sounds of Arizona makes current written material accessible through audio for people who cannot read print because of a disability. It is a window to the world for 49,000 listeners. 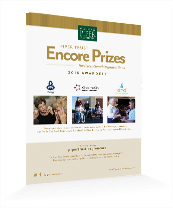 More than 80 percent of Sun Sounds’ 370 active volunteers is encore talent. Executive director Andrea Pasquale said the corps primarily completes its mission of providing continuous, daily programming at broadcast affiliates in Tempe, Tucson, Flagstaff, and Yuma. Responsibilities include reading aloud local and national newspapers, books, and other publications; operating the station’s control board; supporting administration; and serving as ambassadors in the community. Some in Sun Sounds’ encore talent pool find a place for their professional passions. Retired Arizona State University (ASU) theater professor Barbara Acker, for example, is thrilled to conduct voice and diction workshops for readers. Others, like Mares Wright, a retired American Express executive, thrive in new territory. Wright first was an office volunteer. She’s now on staff as Sun Sounds’ marketing coordinator, a position not on her long professional resume. And then there is Roy Weinberg who needs to do “multiple somethings” in retirement. The former engineer is a reader and control board operator. But he has also written music and software code for Sun Sounds, and he built the “cone of silence,” an audio improvement apparatus that surrounds readers to cut reverberation. By Jennifer Dokes. Dokes is founder of JDD Specialties LLC, is a former longtime journalist and member of The Arizona Republic editorial board. At 58, Sister Adele O’Sullivan gathered up all her life experiences—Roman Catholic Sister with the Congregation of St. Joseph, pharmacist, medical doctor, advocate for the poor—and took another step in her faith journey. Her founding of Circle the City, a nonprofit community health organization that serves people experiencing homelessness, is also a classic example of an encore career move. Sister Adele, now chief medical officer, hasn’t walked alone on a mission that since 2008 has produced a 50-bed medical respite center, a family health center, and a variety of community-based outreach health services including a mobile clinic program. 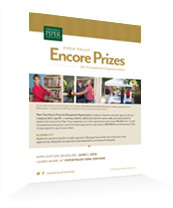 Encore workers, in paid and non-paid positions, have helped her every step of the way. Nearly 40 percent of Circle the City employees and 60 percent of its growing roster of volunteers are 50 and older. Following long careers in the military and in human resources and recruiting in the healthcare industry, Glenn Hinton joined Circle the City in 2012 as an Experience Matters Encore Fellow and eventually became the full-time human resources director. Hinton has been instrumental in ramping up the organization by creating the personnel infrastructure that makes Circle the City function. CEO Brandon Clark said older adults have the experience and skills that help advance Circle the City’s initiatives. “Our encore talent comes pre-loaded with those administrative leadership skills that we love,” he said. Today, Circle the City is thinking about its next steps. What are the missing pieces in the continuum of holistic healthcare for homeless people? Whatever path they pursue, experience tells Sister Adele she won’t walk alone. The Be Kind People Project (BKPP) puts a spin and adds a few twists to the definition of kindness—and that’s before the popping, locking, and body rolls when the DJ drops the beat. The organization’s encore leadership uses a hip-hop dance crew to deliver character education that honors teachers, stimulates positive social change, and provides a values framework for young people. Marcia Meyer, BKPP founder and CEO, said school assemblies and other programs drive home the definition of kindness as intentionally extending good to others. “We like to say kindness is a force without force,” said Meyer, who retired early from a corporate career that included leadership roles in fashion merchandising, product development, and marketing. Their intergenerational approach of mixing experience and youth also is intentional. The Be Kind Crew doesn’t do its thing without the dedication of the organization’s encore leaders, including Bo Whittenton, a former school secretary and paralegal who created a services model for BKPP and pursues innovative revenue opportunities, and Lyn Geake, a retired Paradise Valley Unified School District principal who oversees curriculum and professional development. The high-energy BKPP experience includes a trademarked Be Kind Pledge to practice 10 core values. Project leaders said schools and families report cultural and individual change when the pledge becomes a way of life. The Be Kind People Project regards incivility as an epidemic. Kindness is a remedy. If it takes encore talent, head spins, and chest pops to draw attention to it, so be it.